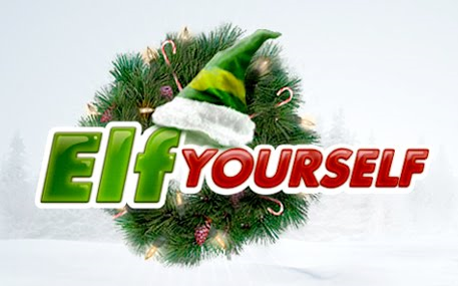 And really, who hasn’t had fun uploading a headshot of their family onto tiny dancing elves (Elf Yourself) singing an Ode to Elvis for the holidays? E-cards are pretty popular and oh so convenient (no post office lineups) and cost nothing at all to send a creative and funny electronic greeting to friends and family. They incorporate colour, lights, images and audio that make them completely customized and many people do like to receive them because they can be customized sender to recipient. If you send or receive an e-card, ever considered if said e-card you’re about to send is safe? What about if it’s safe to open one that pops into your inbox? What if it’s from someone you know? Over many posts, we’ve covered the dangers of clicking on seemingly safe links and advertisements. You think the link is safe, after all it looks like it came from your best friend, but when you go and click it – game over. You’re computer is now infected and you’re unknowingly sending very strange virus emails to everyone on your contact list… then they do the same thing… and so on. A legitimate-looking e-card, once it is clicked and/or downloaded, might actually be spyware, spam, or a computer virus. Not all viruses trash your computer. They may lie dormant for awhile – so you may never suspect that the e-card you received was anything other than legitimate. That’s creepily sneaky! This e-card looks like it comes from Hallmark and it asks you to download an attachment to pick it up. But the attachment isn’t really an e-card – it’s a Trojan… dun dun dunnnnnn!!!! This unwanted visitor waits for you to sign onto AOL, and when you do, you’ll get a pop-up window that looks like an AOL form, but it asks you to verify or update your AOL billing info by providing your credit card, financial account, and other private information. Is the sender someone you don’t know? Does the URL seem a little strange? Go with your gut – delete what seems fishy. Don’t open it. Your next computer virus could be the next mouse click away. Or it sits in the office just down the hall opposite the water cooler. Unfortunately fraud is everywhere. But there are ways to put the brakes on this ‘un-festive’ behaviour and protect yourself and your business. In today’s competitive business environment, you need to do everything you can to protect your brand, finances, and business success. Employees are your first line of defense against fraud, waste and abuse and e-card scams. You need to supply them with the tools they need to report on wrongdoing. Why not give the gift of an ethics reporting system to your team.